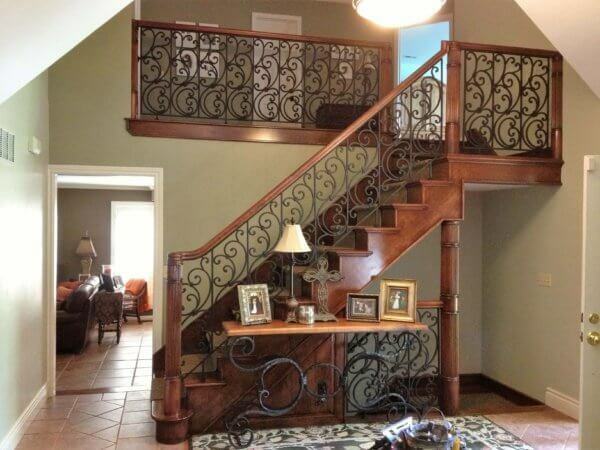 At Records Custom Cabinets and Trim, we offer wrought iron baluster retrofits to our clients in the Wichita, Ks. area. 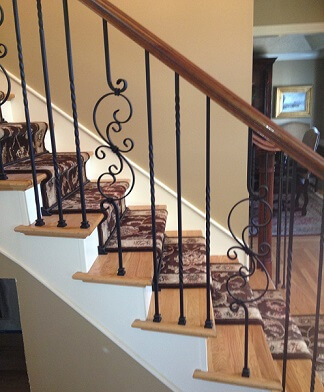 Usually in about a day we can remove your existing balusters and replace them with new iron balusters. We offer many different balusters to fit most any budget. From simple twisted iron rod to the variability of hand hammered, forged balusters, we have you covered! We are Wichita’s staircase pros! A custom staircase is one of the most eye catching features of a home, and at Records Custom Cabinets and Trim Carpentry, we’ve designed and built some of the most amazing staircases you’ll see in the Wichita area! 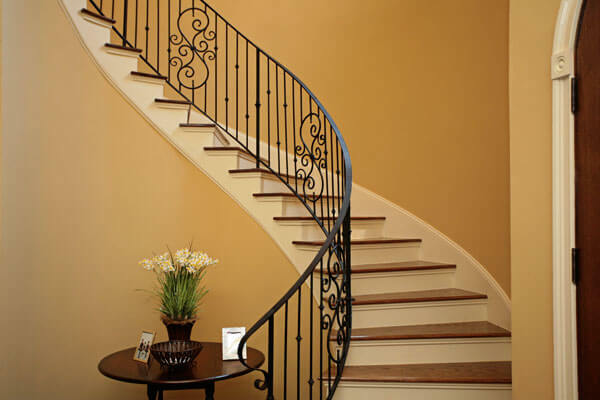 Our staircases can be found in some of the finest homes and businesses in Central Kansas. Whether you desire curve d, straight or spiral stairs, we have the experience you need to custom build or remodel any staircase. We build all our custom newel post and hand railings locally, insuring you a finely detailed, exceptional product of the highest quality. 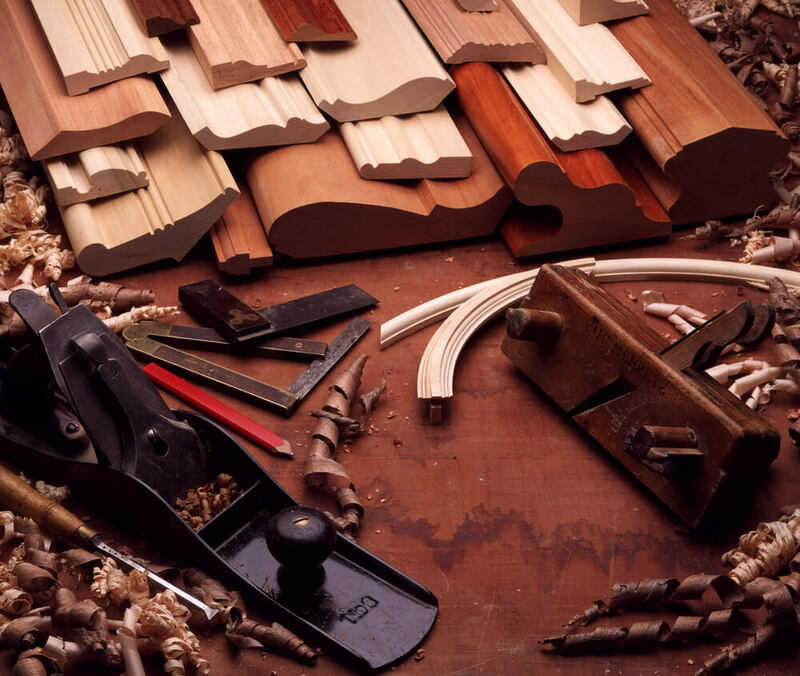 Our experienced craftsmen are true masters at designing and building solid, well-constructed staircases that will stand the test of time and be the beautiful centerpiece of your home or business. Besides traditional box newel styles, we offer newels with burl and exotic wood inlays, raised panels, and custom turned newels up to a foot in diameter. 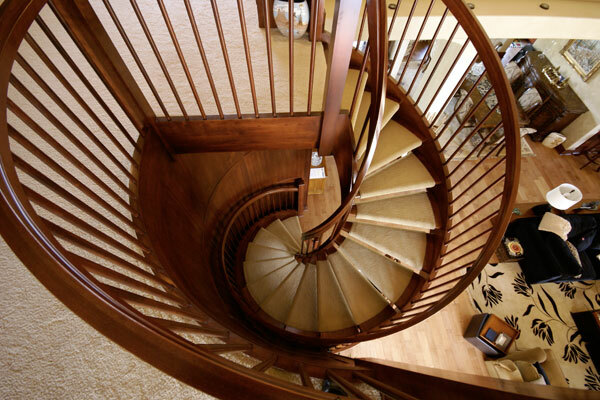 Nobody in the Wichita area offers a wider variety of custom staircase options! 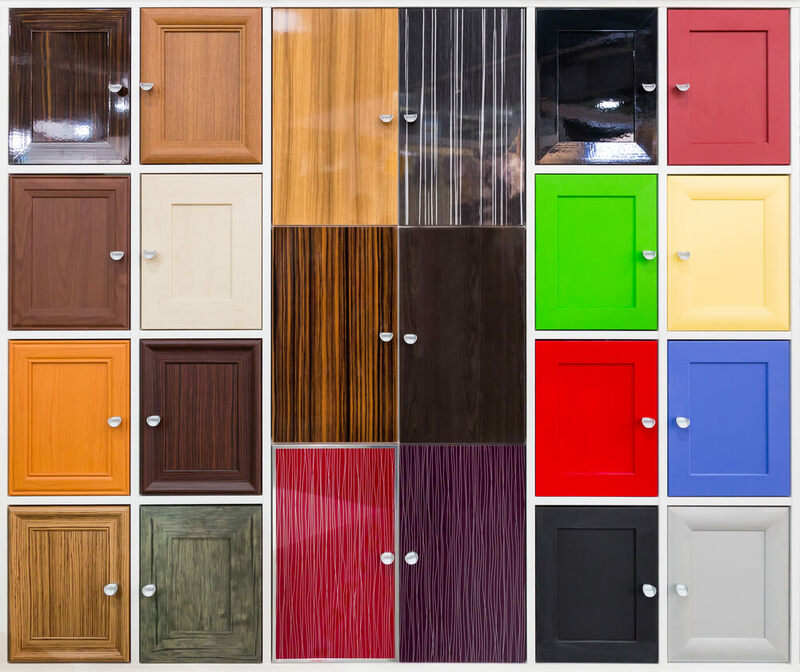 Traditional wood, hand-forged iron, glass/iron, cable and custom turned wood balusters are just a few of the baluster options we offer at Records Cabinets and Trim. Even our stair treads are available in several different styles: traditional solid wood, carpeted, wood with carpet runner, and our beautiful hand-scraped solid wood treads (these match the popular hand-scraped flooring and look incredible!). Need some inspiration for your staircase remodel? 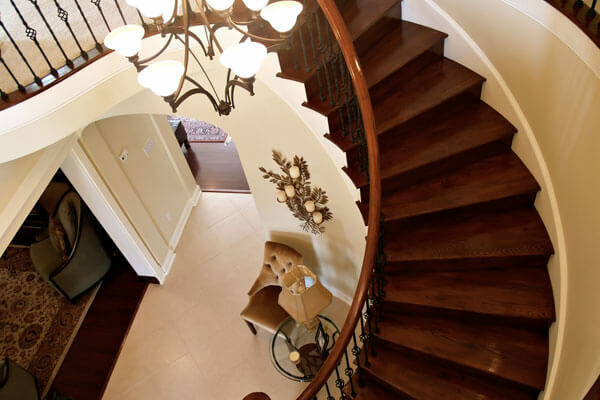 Check out our blog for great staircase remodeling ideas! 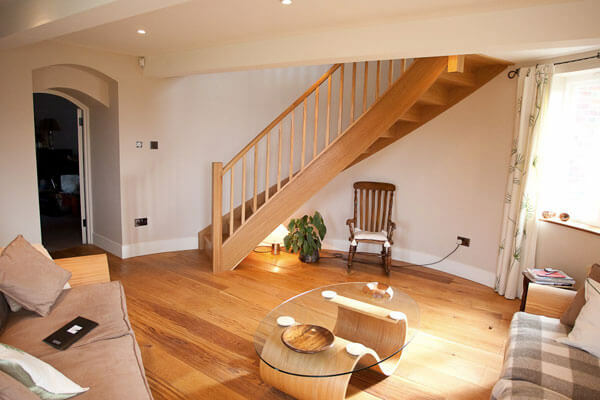 Sometimes, a whole new staircase might not be required to give your space a fresh new look. 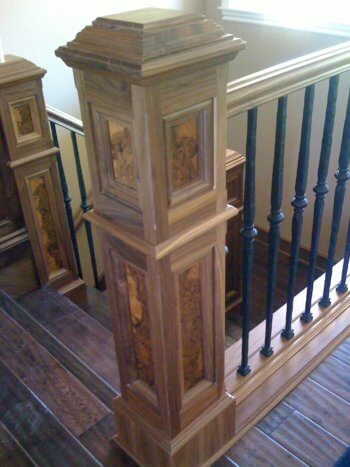 We do tons of wood baluster to iron baluster conversions. 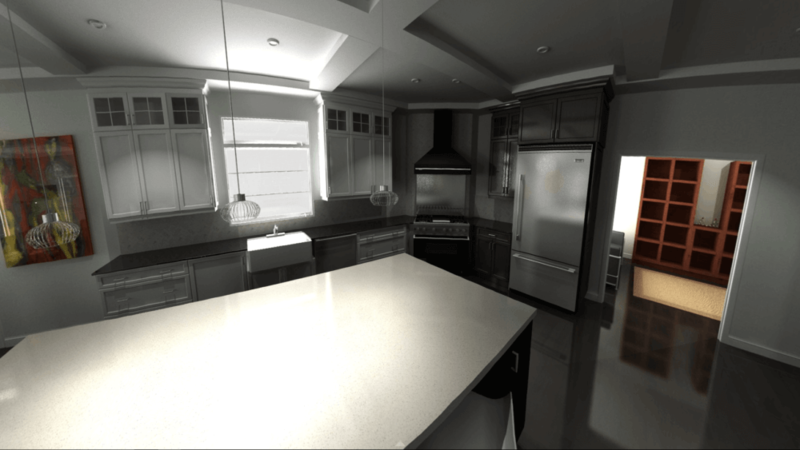 This quick remodel only takes a few days but will make a big statement! We also install solid wood treads that we custom manufacture locally. 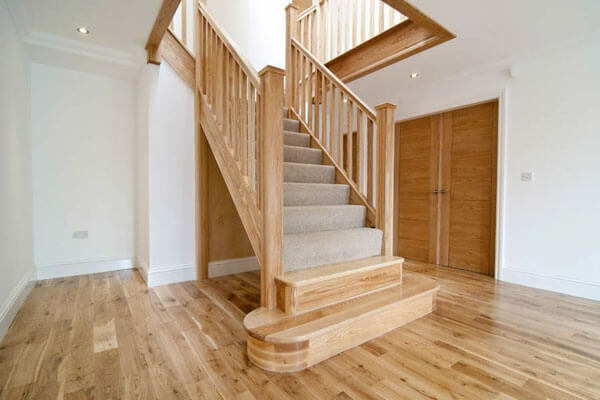 Have an existing wood floor that you would like your new stair treads to match? No problem! We’re pros at that too! 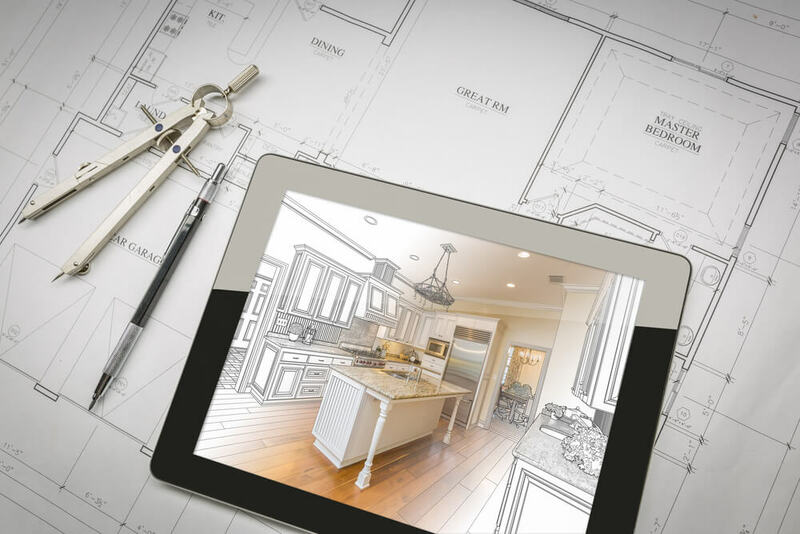 Call us today at (316)733-6800 or contact us online to speak with one of our project managers about your custom built staircase or handrail remodeling needs.